Smaller physical size 250W solar panel, great for fitting into tigher spaces on Vans, Campers, Motorhomes and Boats. Measuring just 1482 x 992mm, they offer great flexiblity for smaller and more complex shaped roofs. 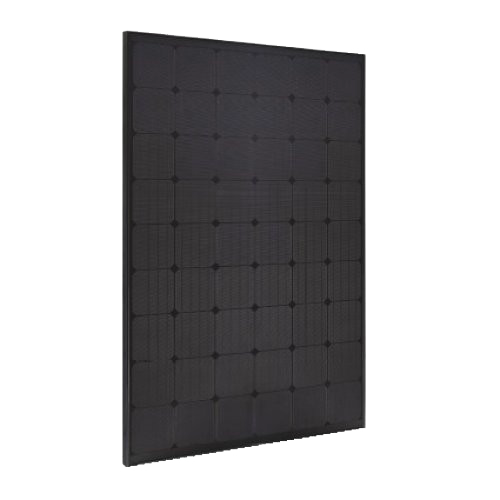 The Perlight 250W Delta Mono Triple Black 54 Cell module is a classic all black mono-crystalline solar panel which use the state-of-the-art technology in the design & manufacturing process, thus ensure the superior quality as well as the modern appearance. The Perlight 250W Delta Mono Triple Black 54 Cell module is designed especially for the European market by Perlight, recognizing the importance of aesthetics in construction. When installed in arrays, the Delta Black offers a more uniform appearance, enabling PV modules to integrate into new and existing buildings without necessarily making the array the focal point of the building. High efficiency crystalline solar cell (module efficiency 17%), producing maximum power even under low light conditions. Highly transparent, low-­iron, tempered glass and antireflective coating increases energy yield. Use of Ethylene Vinyl Acetate (EVA) in production guarantees longevity of the panels. Integrated bypass diodes to protect the solar cell circuit from hot spots during partial shadowing.